Photographer: Yelena Yemchuk. Model(s): Aline Weber. Source: Another Magazine. In this super stylish editorial for Another Magazine’s latest issue, Yelena Yemchuck gives us a taste of 70’s-Glam, with Aline Weber doing her best “Brigitte Bardot” – in designs by Burberry Prorsum, Chloe, Jil Sander, and more. Chasing her dreams, our heroine flees her suburban roots to follow her star to Hollywood. Wearing her chicest travel-wear, we’re reminded of a time when fashionable women always “dressed for the occasion”, never knowing what opportunity was waiting, just around the corner. 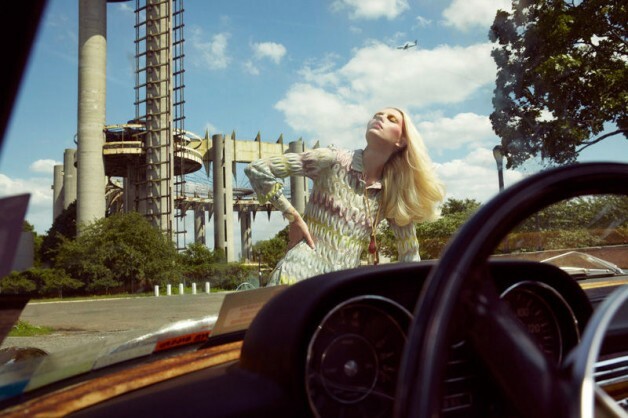 Aline Weber’s perfect head-to-toe depiction of a retro-goddess, makes me want to follow in her stylish footsteps, and take off on a Retro-Roadtrip of my own.